A consortium of US firm and Jet Airways founder Naresh Goyal's Jetair has reportedly submitted the expression of interest (EoI) for acquiring a stake in the ailing airline with the backing of a London company. However, lenders, who will decide about emergency funding for the crisis-hit Jet Airways on Monday, are not keen to allow him to enter the board again, said media reports. 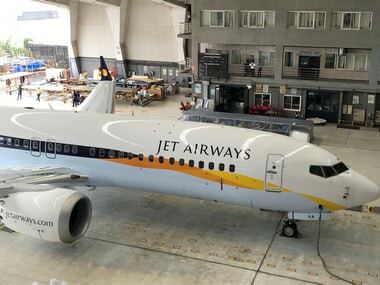 Goyal's general sales agency Jetair has reportedly gained support for its offer for Jet Airways stake acquisition from Future Trend Capital, a firm based in US' Delaware, according to The Economic Times. The report said that the bid from the Future Trend-Jetair consortium reached at 6:08 pm, eight minutes after the deadline for submitting the EoIs. The newspaper added that Adi Partners, a London-based firm, is also associated with the group of Jetair and Future Trend. The consortium of lenders that prepared the rescue deal for the debt-laden Jet Airways permitted Goyal was allowed to submit an EoI on the condition that he bid as part of a consortium with other investors where he would hold a minority stake, said a report in Mint quoting people in the know of the matter. However, Goyal had not met those conditions in his bid submitted on Friday, the sources said adding a final decision on the bid would be conveyed to him after considering legal opinion. Meanwhile, the management of Jet Airways will meet lenders of the airline on Monday with a fresh plan to seek the interim funding of Rs 1,500 crore that they had promised earlier as part of the rescue deal, according to a report in The Times of India. 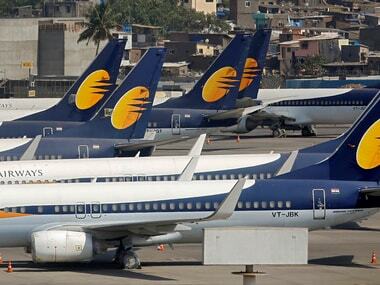 Any move like refusal or delay in the release the fund on the part of the lenders will totally ground the beleaguered Jet Airways immediately, said the report. The cash-strapped Jet Airways on Sunday averted a deeper crisis after its pilots body, the National Aviatior's Guild (NAG), deferred its "no flying" call to a later date from Monday, when the management is scheduled to meet the lenders, said a PTI report. Earlier in the day, the guild, which has around 1,100 pilots as its members, decided to stop flying from 15 April in protest against non-payment of salaries since March.